Raaga.com: 2016 is the year of the ‘Khans’! 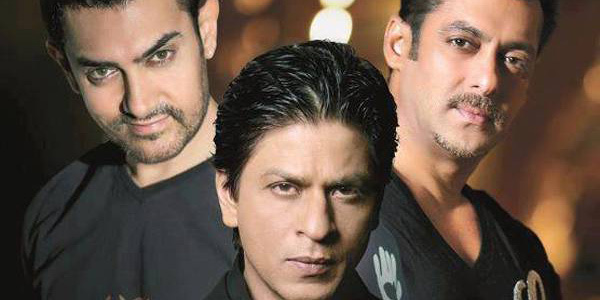 2016 is the year of the ‘Khans’! It seems 2016 is the year of the Khans, who will fight out to prove their magnetism at the box –office. Shah Rukh Khan’s FAN will be the first film among the Khan trio to release in April 2016. The film directed by Maneesh Sharma and produced by the prestigious Yash Raj Films banner will present Shah Rukh Khan in a different avatar. Besides playing the role of a Superstar he will also play the protagonist, who is an ardent fan of the superstar. The film launched its first teaser early this year and the second was launched on SRK’s birthday. Interestingly both the teasers have received tremendous response by his fans. Besides FAN, Shah Rukh Khan has a double bonanza for his fans with his home production RAEES being scheduled to be released on Eid in July. The movie directed by Rahul Dholakia is set in 1980s Gujarat, during liquor prohibition. Shah Rukh Khan plays a don who indulges in the illegal trade of liquor. The movie explores the hidden histrionic of SRK as he plays a Gujarati Muslim don’s character for the first time. Salman Khan known for his penchant for Eid release is planning to release his much anticipated film SULTAN during Bakri Eid in November, 2016. Directed by Ali Abbas Zafar of GUNDAY fame, Salman Khan plays a retired wrestler, who helps a budding wrestler to make a name in wrestling world. In December during Christmas Aamir Khan will be seen in his much talked about film DANGAL for which the actor has toned his body to 95 kg! The movie based on the true story of Haryanvi wrestler Mahavir Singh Phogat will depict Aamir Khan playing the role of Phogat and how he played a vital role in making his daughters shine in wrestling, a girl which was only looked upon as a sport of men! Produced by Walt Disney Co. (India) and directed by Nitesh Tiwari is an inspiring story and will give a boost to girl child. What the future holds for film stars in 2016?